Questions about Airbus’s strategy in the event of a so-called no-deal Brexit largely overshadowed Wednesday’s groundbreaking ceremony marking the start of construction of the Airbus A220 assembly site in Mobile, Alabama. The event followed the crushing defeat in the UK parliament of British prime minister Theresa May’s plan for a negotiated “soft” exit from the European Union. 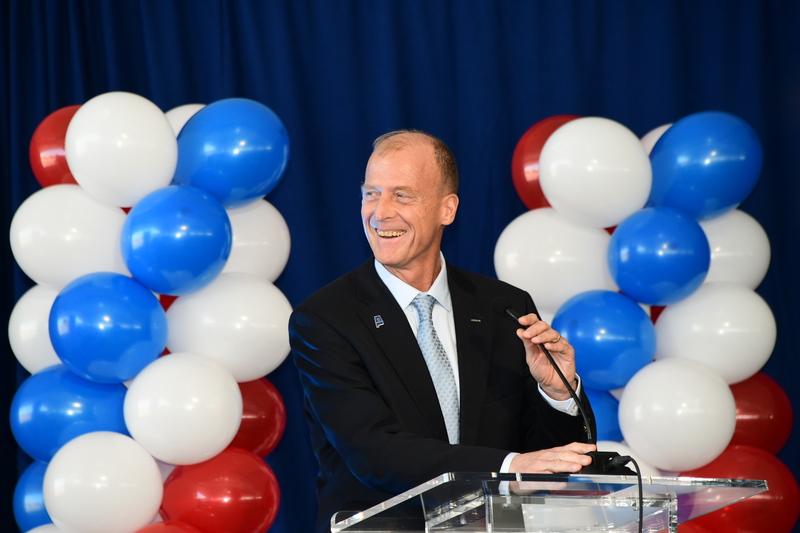 Speaking at a press briefing ahead of the event, Airbus CEO Tom Enders lamented recent trends toward protectionism and nationalism and referenced the development of Airbus’s presence in the U.S. as a hedge against such inclinations. Closer to home, however, the Brexit vote stands to disrupt Airbus’s operations in a profound way, particularly given the location of its wing production plant in Broughton, in the UK. Still, Faury characterized a no-deal Brexit as a “potential disaster” that both sides must avoid by any means.